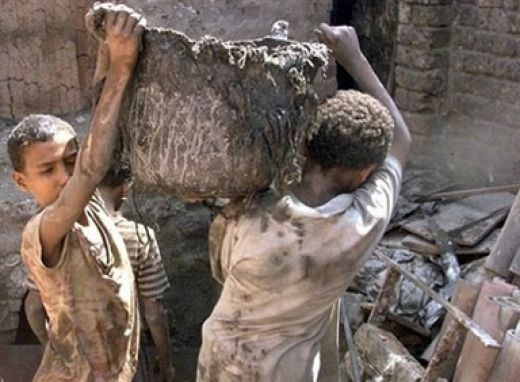 The International Labour Organization (ILO) and the Government are to work together to eliminate child labour in Sri Lanka, an ILO statement said. ILO Assistant Director General and Regional Director for Asia and the Pacific, Yoshiteru Uramoto was briefed on the Government’s progress with the ratification of Employment Policy Convention, 1964 (No. 122), and the Maritime Labour Convention, 2006, and elimination of child labour. The Government, with ILO assistance has declared that Ratnapura District would be a child labour Free Zone by 2016. There are also plans to extend this to the Kegalle and Ampara Districts. The Regional Director expressed ILO’s commitment to assisting the government in these initiatives as well as in the areas of youth employment and boosting women’s labour force participation. Uramoto, was in Sri Lanka recently at the invitation of the Ministry of Labour and Labour Relations. During the visit Uramoto met Prime Minister D.M. Jayaratne, among others, and discussed ILO’s support for Sri Lanka in a number of areas, including labour law, human resources development, industrial relations and ILO projects in the North supporting swifter, better reconciliation. The Prime Minister appreciated the ILO’s support for Sri Lanka, and its help to create employment opportunities.